Save SAR 3 (21.43%) – Earn 1 Shukran What is Shukran? Shukran is the Landmark Group’s award-winning loyalty programme in the Middle East, which allows you to earn Shukrans when you shop any of our brands. 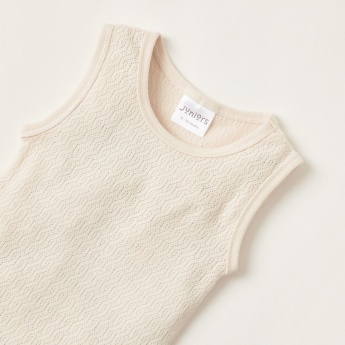 Allow your little one to stay snug and have free movements wearing this sleeveless bodysuit. Crafted with a textured finish and buttoned closure at the bottom, it is easy to change diapers.